Open CCleaner. Go to Options and then select Advanced. That is a lot of size in your recycle bin. Have you looked in your bin to see what they are? 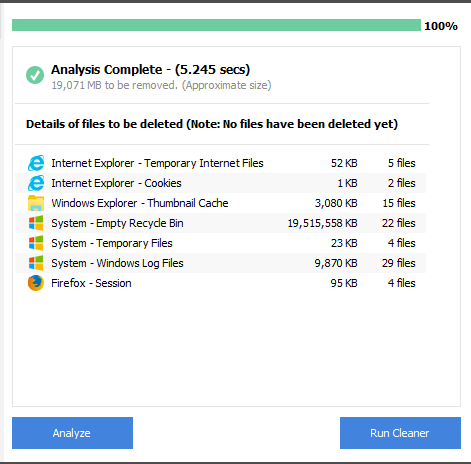 What does it show if you select Run Cleaner, close CCleaner, open CCleaner and select Analyse again?